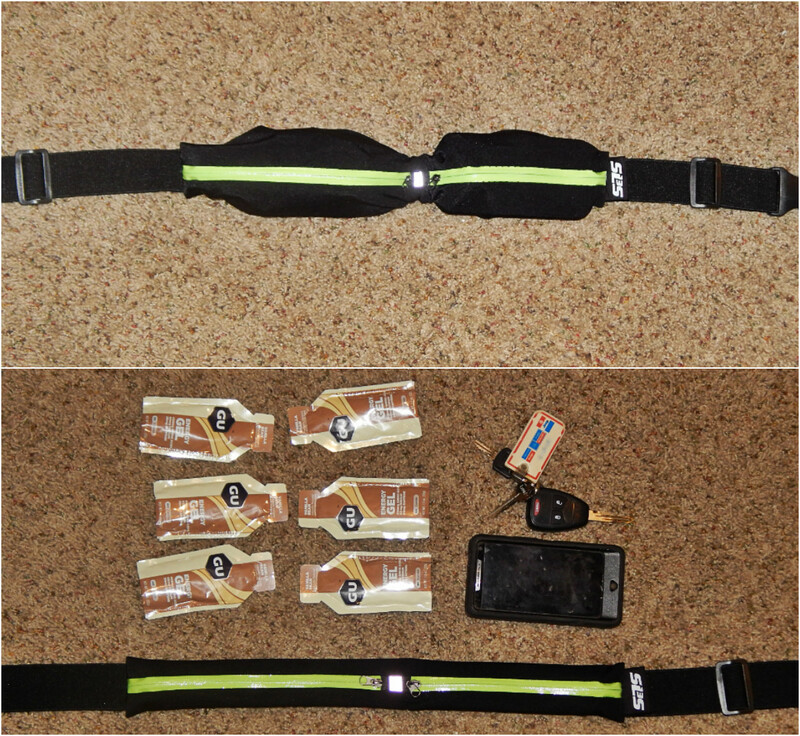 Disclaimer: I received this run belt for giveaway and review purposes. All opinions are my 100% own. Another week of Fargo Marathon training is in the books and this week I had the privilege of testing the SLS3 Dual Pocket Run Belt! 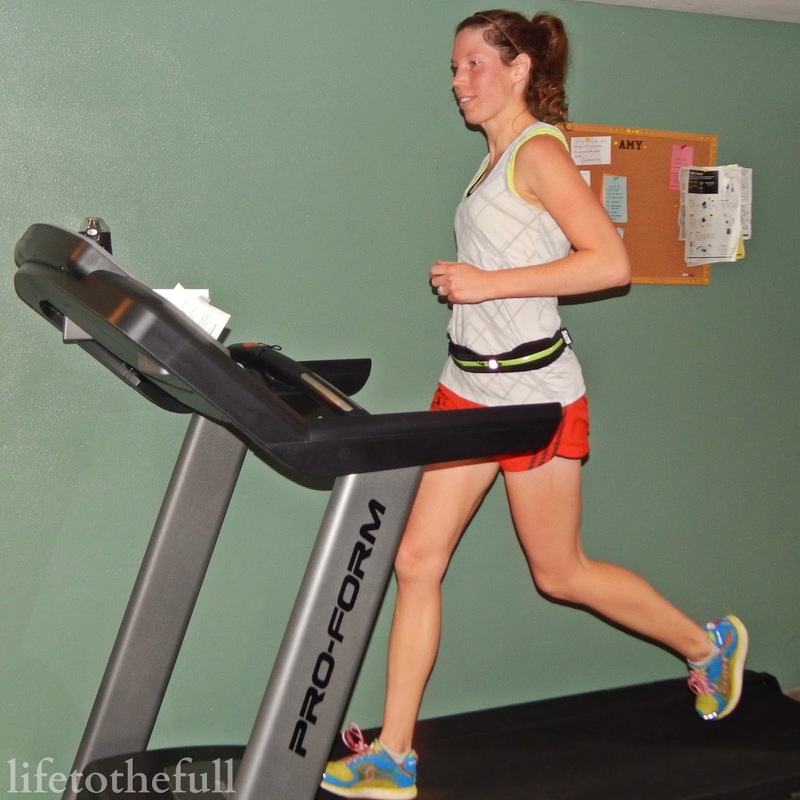 Prior to this belt, I have stored my energy gels in my sports bra during long runs. Awkward, I know, but most of my shorts don't have pockets. My previous way of storage wasn't very comfortable, things get sweaty and, like I said, it was awkward at times. Then came the SLS3 Dual Pocket Run Belt! I tested the belt on a few runs this week and I was blown away by this belt. When running outside, I carried my husband's huge "smartphone" and an energy gel in the run belt. I carry a phone with me "just in case" when running in the winter or in the dark. When I carry the phone in my coat pocket, it annoyingly bounces around with each stride but it in the belt it didn't budge! Comfortable fit and easily adjustable waist band. Light-weight, doesn't feel bulky even when carrying items. Stayed in place during my entire long run. No bounce while running with a phone and energy gel in the belt. Reflective front-side for running on dark early mornings. 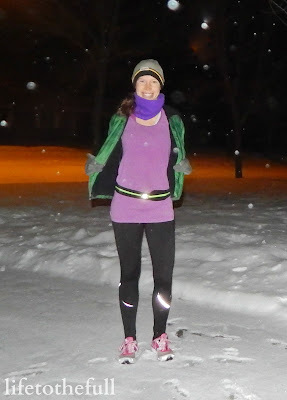 I hit the treadmill for a 6-mile tempo interval run to test the SLS3 Run Belt in my "normal" (or non-winter-layered) running clothes — because you couldn't pay me to run outside in a tank and shorts right now! The run belt did ride up during this run which was likely due to my shirt's more slippery material. Tightening the belt did help to prevent riding up. So how much can the pockets hold? LOTS! Say your going on a super long trail run... I loaded up the run belt to its max capacity with six energy gels, a honkin' phone and my car keys just to see how much would fit. The dual pockets expand to hold more gels than I could ever use on a long run! When not in use, the pockets collapse down to lay flat against your body. This is an awesome and practical running accessory to invest in! 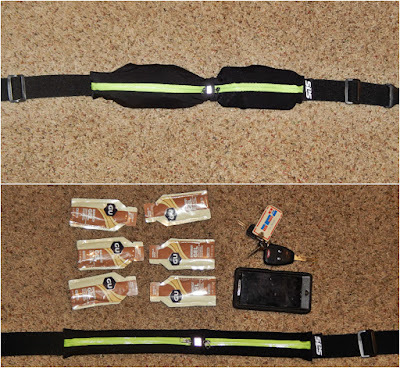 Carrying energy gels along for my upcoming long runs will be so much more comfortable with the SLS3 run belt. Enter to win your own belt in the giveaway below and check out the SLS3 Dual Pocket Running Belt on Amazon at a limited-time introductory price of $12.90 (retail price is $29.90)! 01/20 Wednesday - Easy: 6.15 mi, 00:57 @ 09:12 avg pace. I finally ran outside today with our pup! The fresh air and frozen fog felt wonderful and the SLS3 Run Belt was perfect for carrying my phone and house keys. They didn't bounce around at all! 01/21 Thursday - Strength training in the kitchen while cooking supper. The little ones and I get creative to fit the strength training in! 01/23 Saturday - Long Run: 11.2 mi, 01:36 @ 08:35 avg pace. Windy run but it felt good to get outside. Lots of snow drifts and loose snow to run through. My quads were done for by the end of the run! The dog joined me for the last 3 miles. Linking up with Fitness Health & Happiness and the Wednesday Giveaway Round-up. I love the dual pocket design so o don't have to worry about my phone falling out when I get my Gu out. The dual pocket design is awesome and totally saves you from losing items on the run! That belt looks really useful! great week! I reviewed the belt as well, love it! I think this would be super useful on runs! Really cool! This seems like a great belt for my early morning runs. I hate having to remove my phone from its protective case. Sounds like a nice belt! I like that it is waterproof! I love the idea of dual pockets. I once had my drivers license fall out of a running belt when I removed my phone. I didn't realize until much later. Thankfully it was found by a fellow runner who made the effort to drive it to my home. However, since that time I started running with two belts - one that remained closed (to carry ID, cash, etc) and one for my phone and gels. It would be great to go back to one belt and no longer worry of losing items. 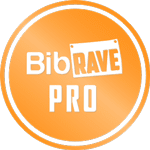 Looks like a great product and not only for runners. Thanks for sharing with Living a Life of Fitness Health and Happiness. Have a great weekend! Looks great. Small but able to hold a lot. Exactly what I need for my long runs! This looks like it's be a nice alternative for having all my things instead of wearing my flipbelt. Great belt, can't believe how much it holds! THis looks really useful. I usually can't take my phone. Would love this to hold my chap stick, phone, id, and keys!! It looks perfect since it holds so much :) Thank you for reviewing this brand. I'd never heard of it before!